"I'm really hungry. I wanted to eat hot dogs." Former hot dog eating champ Takeru Kobayashi after being released from jail today. 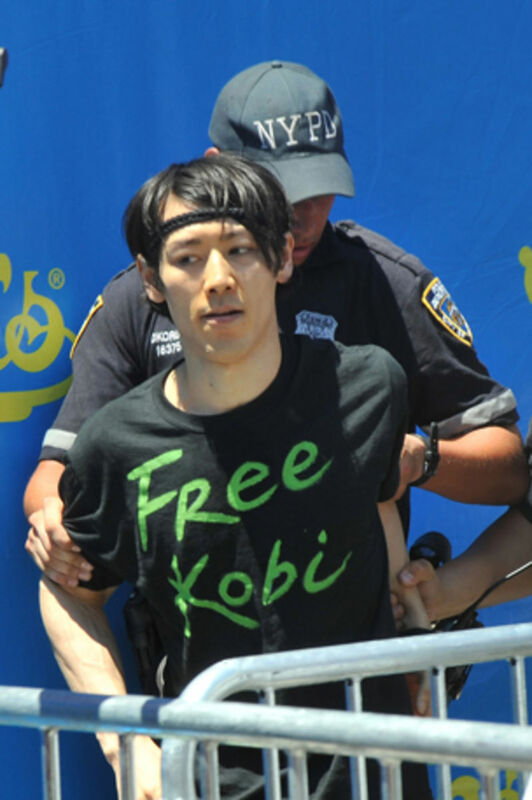 Hot dog eater Takeru Kobayashi was released from jail in Brooklyn today following his arrest for crashing yesterday's Nathan's Hot Dog Eating Contest. He plead not guilt to charges of resisting arrest, obstruction of governmental administration, disorderly conduct, and trespassing. 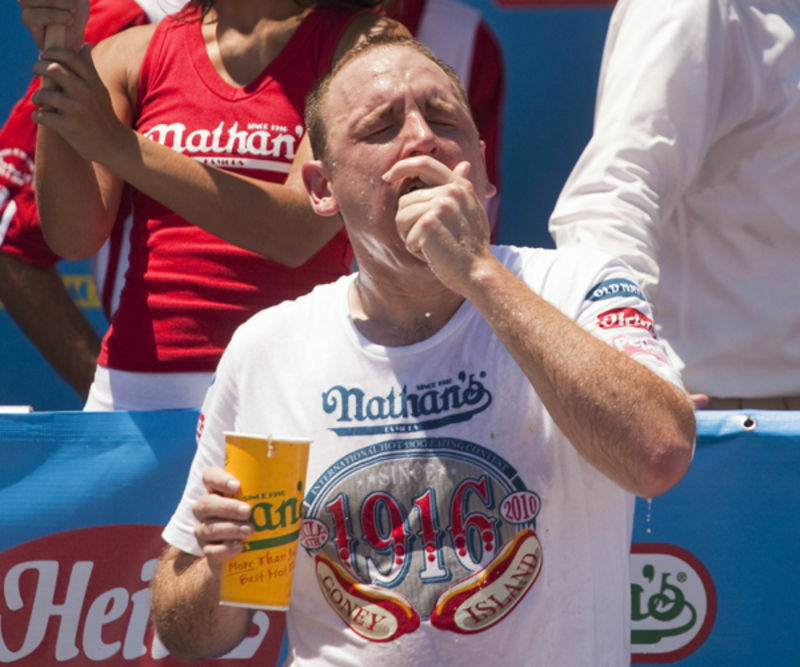 Joey "Jaws" Chestnut won his fourth consecutive title at today's 95th annual Nathan's Hot Dog Eating Contest at Coney Island, eating 54 hot dogs in 10 minutes. His arch-rival, and six-time champ, Takeru Kobayashi was arrested after the competition.